Despite the wet weather and last minute changes to Northside's Pinkout game the community gave in a big way. ROANOKE COUNTY (WSLS 10) - Despite the wet weather and last minute changes to Northside's Pinkout game, the community gave in a big way. Through jersey sponsorships and donations more than $1,800 was raised for "Relay for Life." 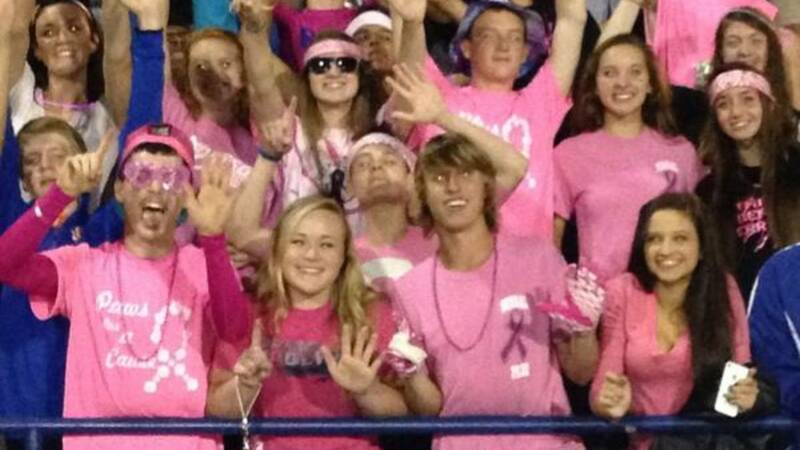 This is the fifth year organizers have taken breast cancer awareness to the football sidelines. Almost every football jersey was sponsored in honor of a breast cancer survivor, fighter or patient.